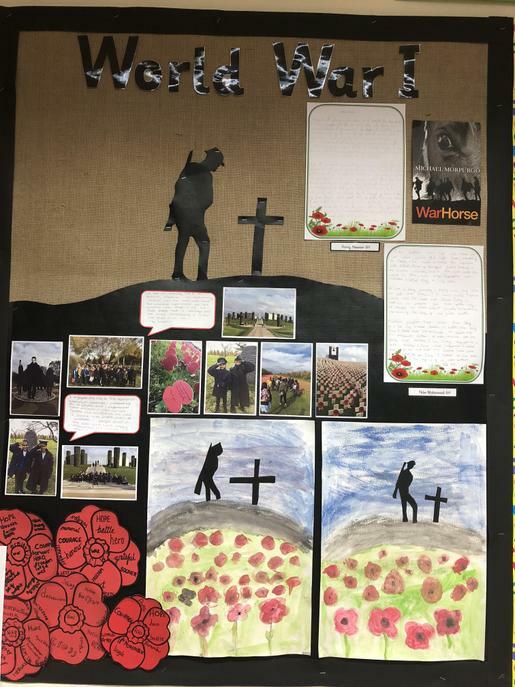 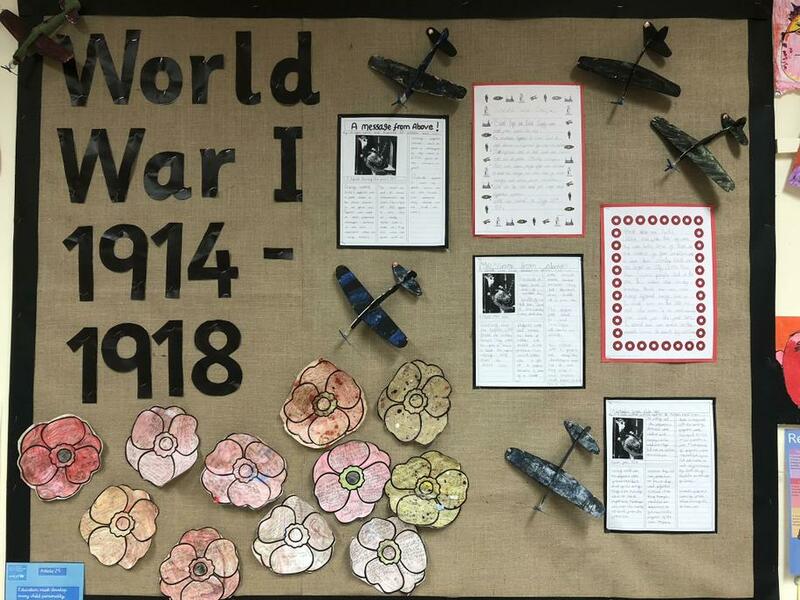 Welcome to Alston School's World War I Centenary webpage. 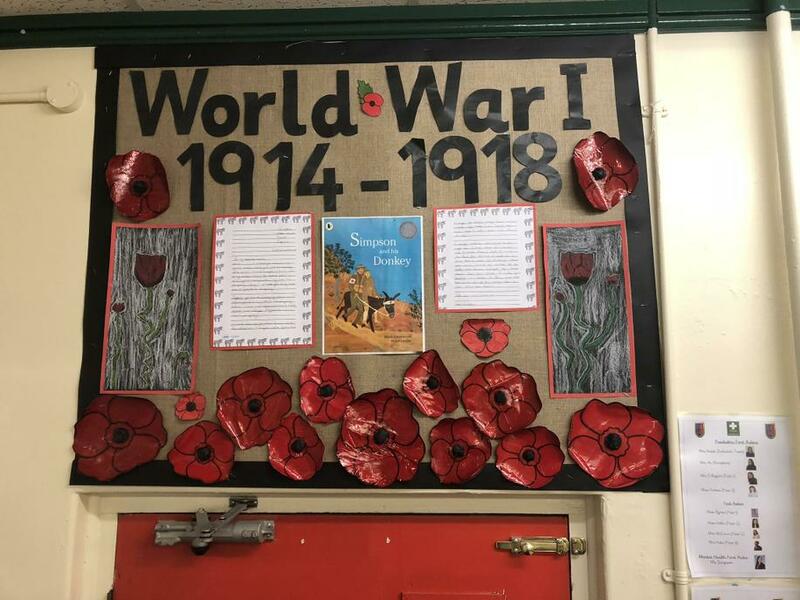 The children made poppies, made their own war poem and made their own ration books and stamped the food they had at snack time and finally they made their own satchels. 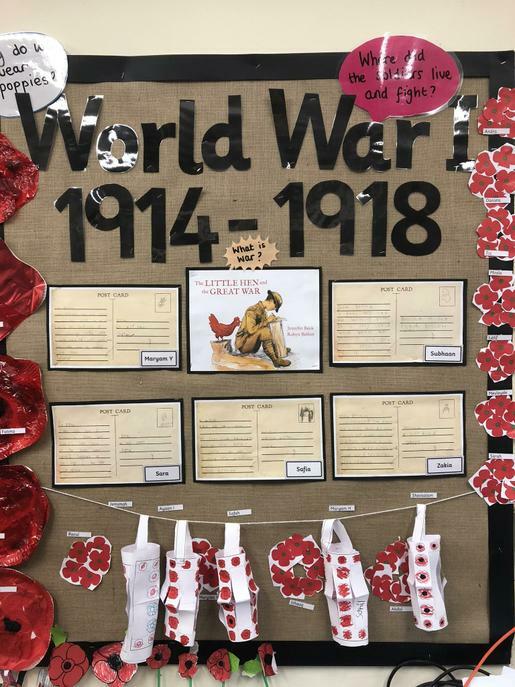 For World War 1 week, Year 1 read the book The Little Hen and the Great War, by Jennifer Beck. 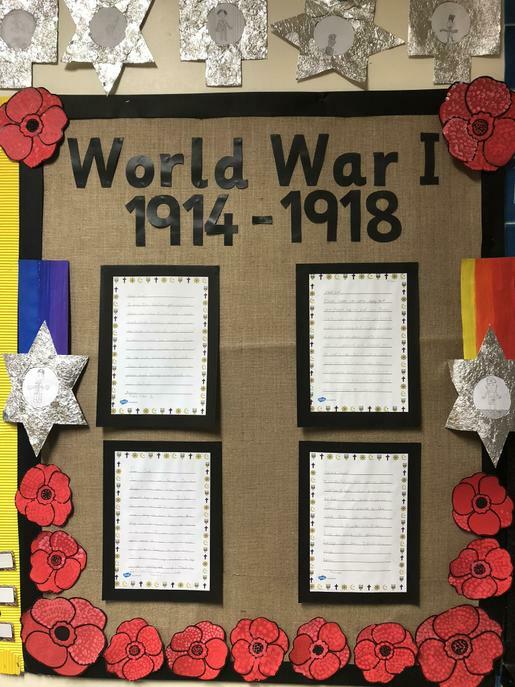 We wrote letters from the soldier in the story to his family back at home and postcards from the soldier to the hen. 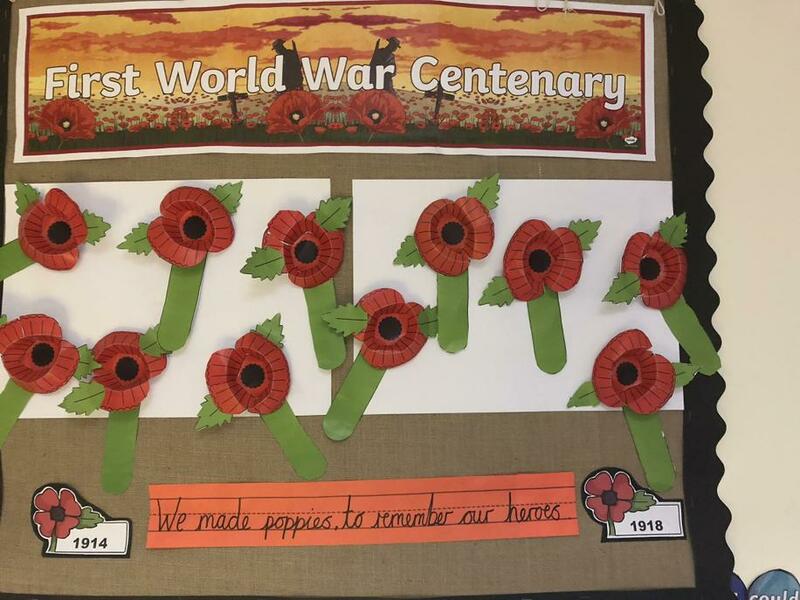 For our art Year 1 made mosaic poppies as well as printed poppies to go towards the mural in the Millennium room. 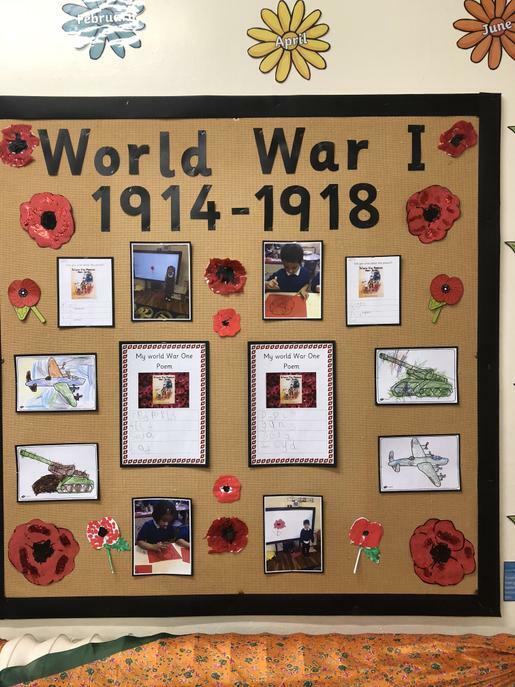 Year 1 really enjoyed this topic and learning about what the soldiers went through and understanding the meaning of friendship in difficult times. 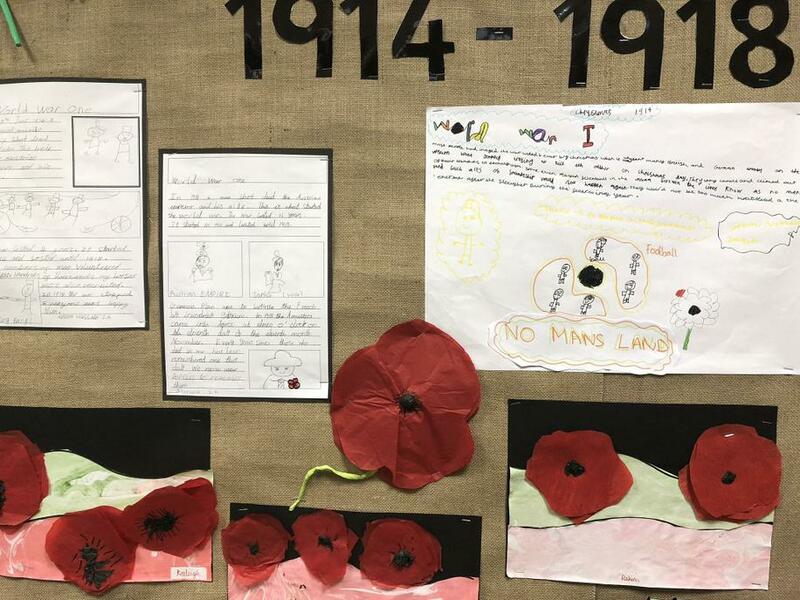 During WW1 week, year 2 used different sources of data to research and write about life in the trenches, women's rights, education and family life. 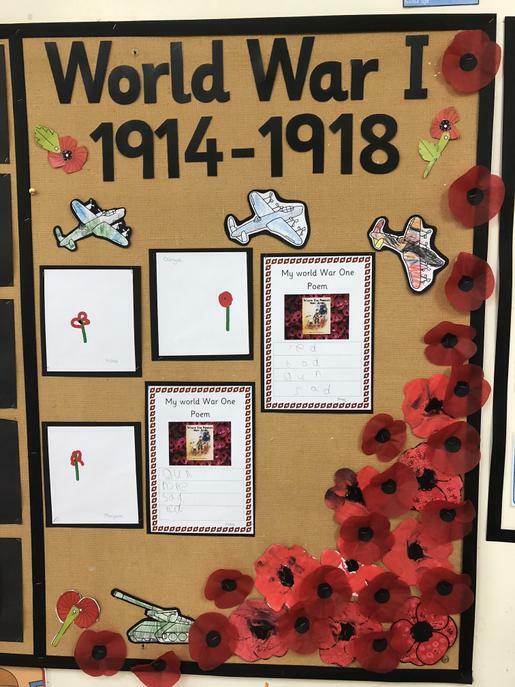 We wrote a report based on our findings. 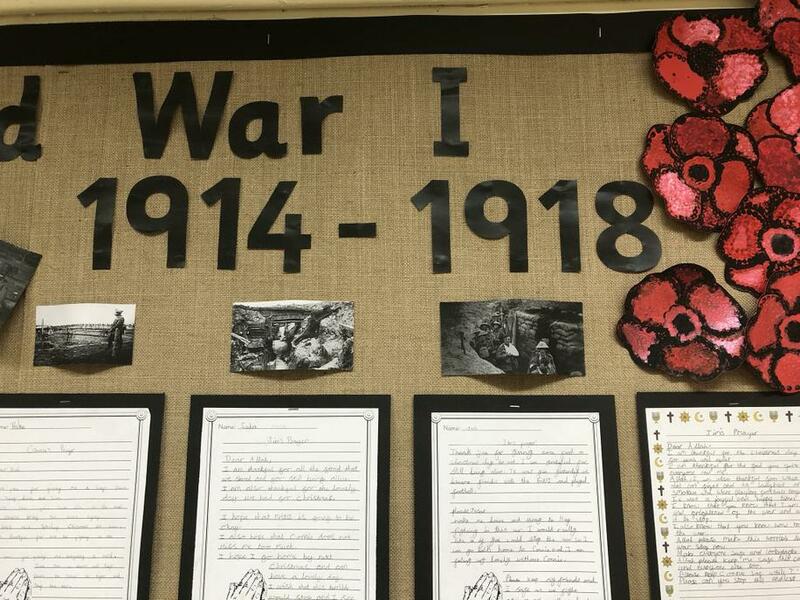 We also role played the major events that took part during WW1. 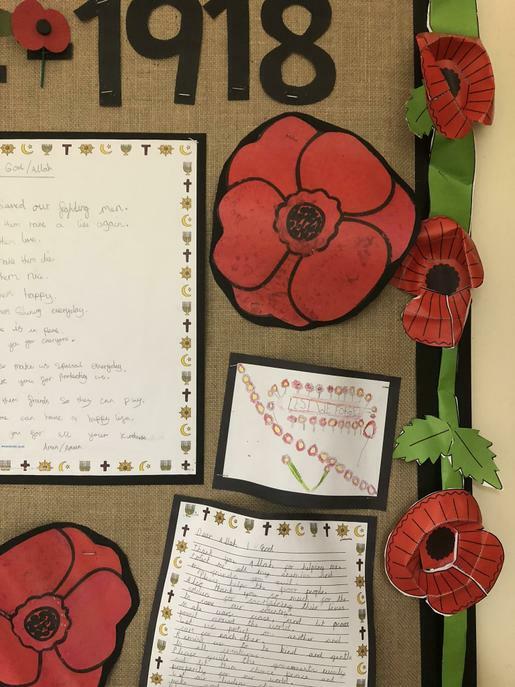 The children also created poppies and wrote poems about the events that took place. 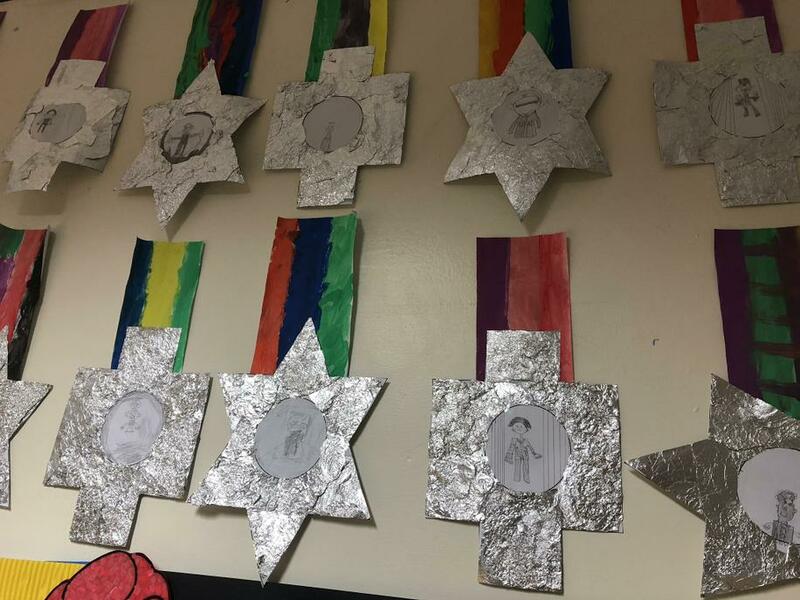 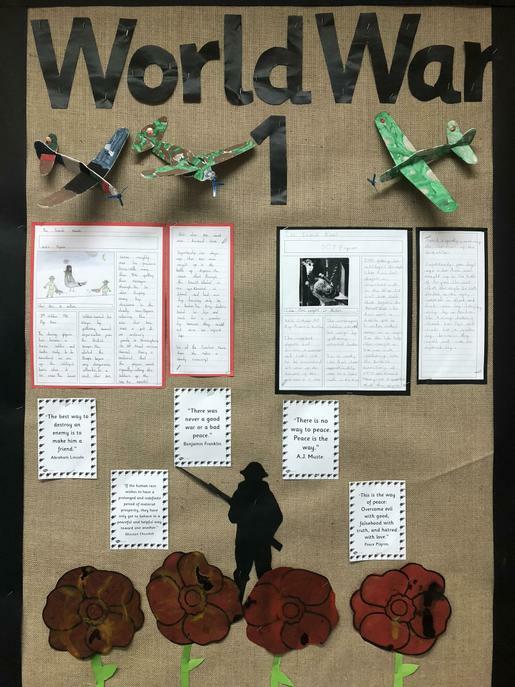 Year 3 read a book called 'The Best Christmas Present ion the World' by Michael Morpurgo and then wrote prayers as if they were either the soldier or his wife in the war. 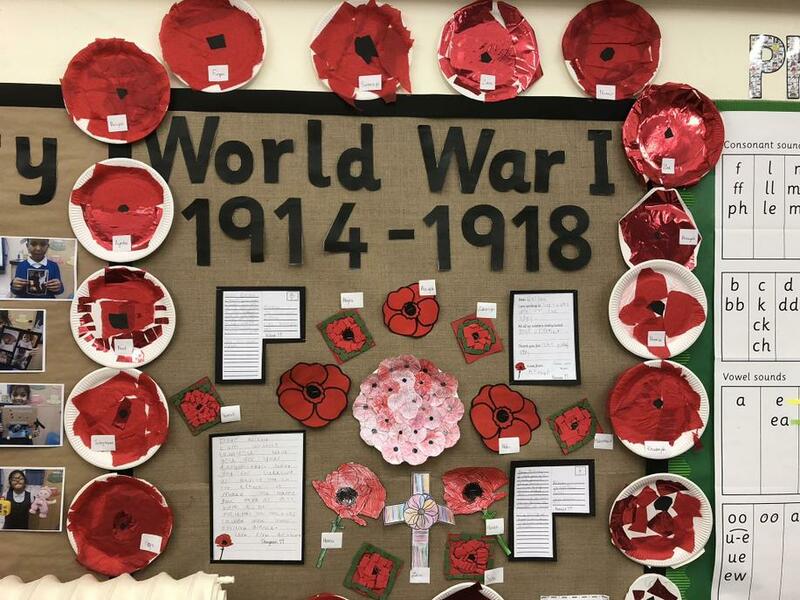 They made medals and pointillism poppies for displays around the school. 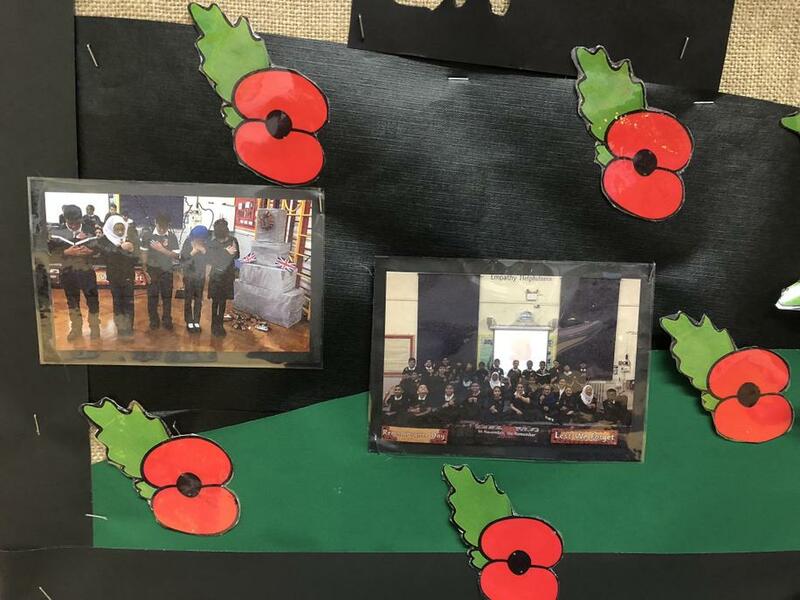 They enjoyed watching a performance by a storyteller who talked as though he had lived during the war. 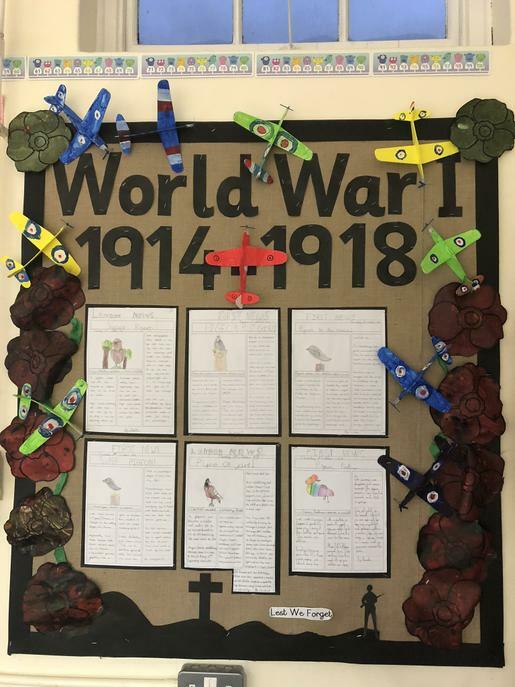 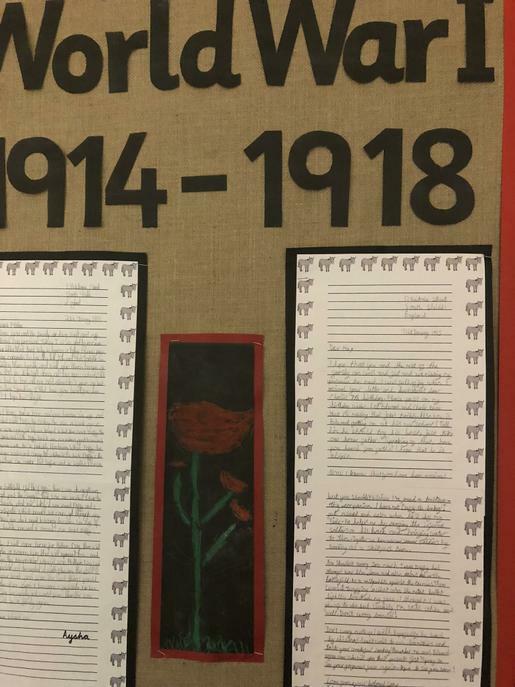 Year 4 wrote a newspaper article on Archie's war, they also made planes and marbled poppies. 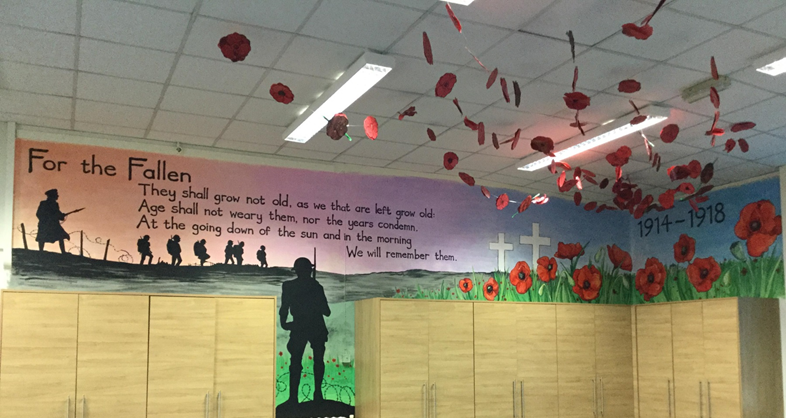 They also had a storyteller in telling them about the life of a soldier. 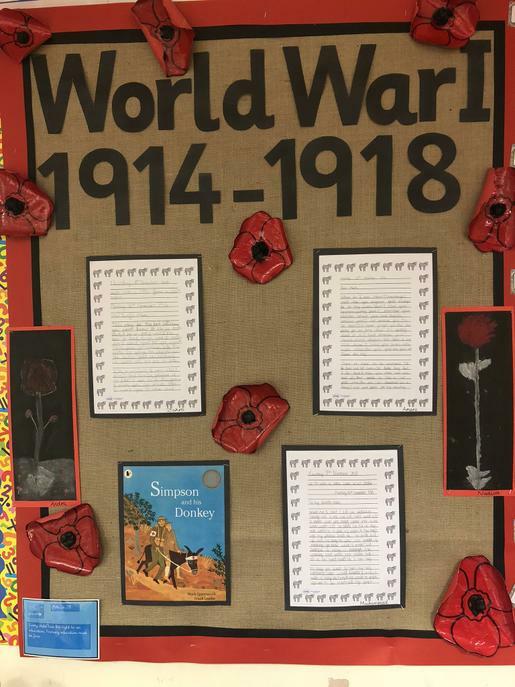 During WW1 Week, Year 5 explored the book 'Simpson and the Donkey', which was about a soldier (Jim Simpson) and how his donkey companion helped him during the war. 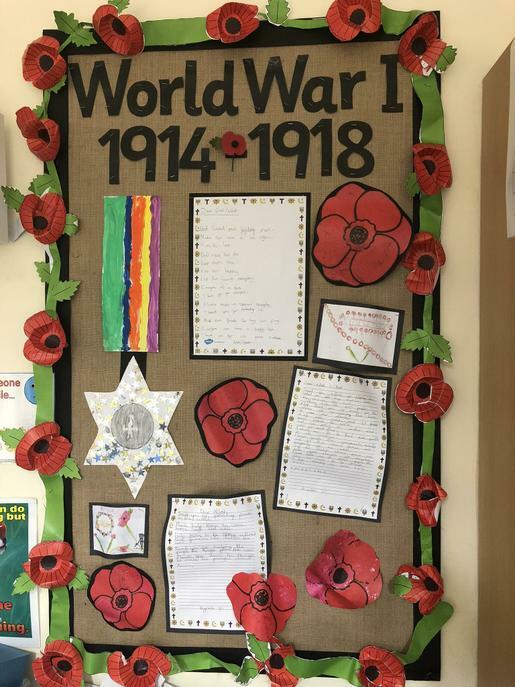 We then used this to help us write an emotional letter from Jim to his mother. 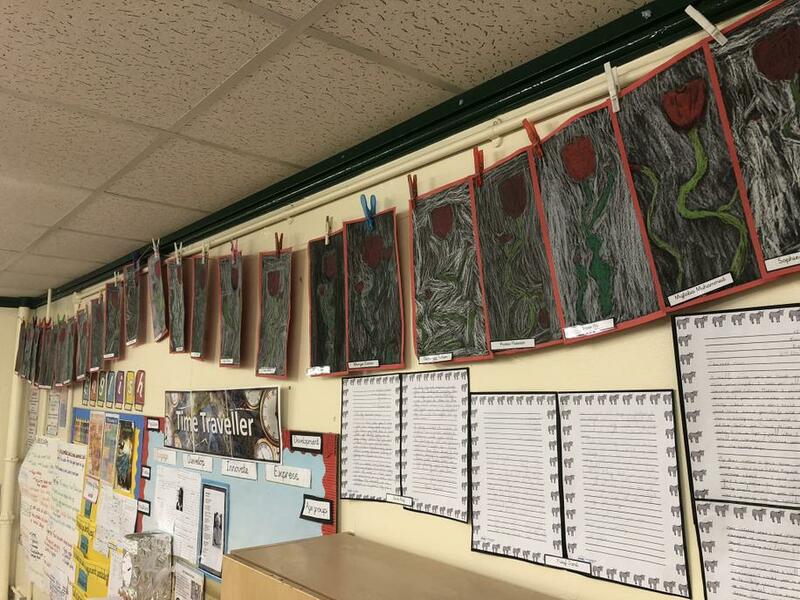 We also created poppies using red cellophane and black tissue paper and used our art skills to draw poppies using chalk and crayons. 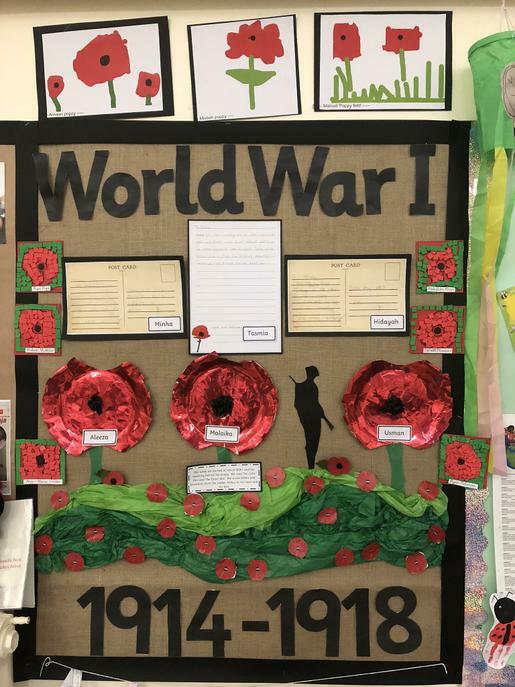 Children in year 6, thoroughly enjoyed WW1 week. 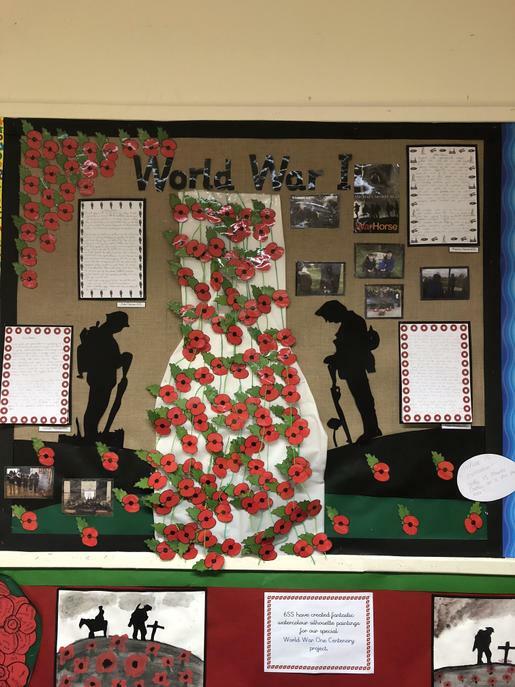 They started the week visiting the National Memorial Arboretum and learnt how many lives were affected due to the war. 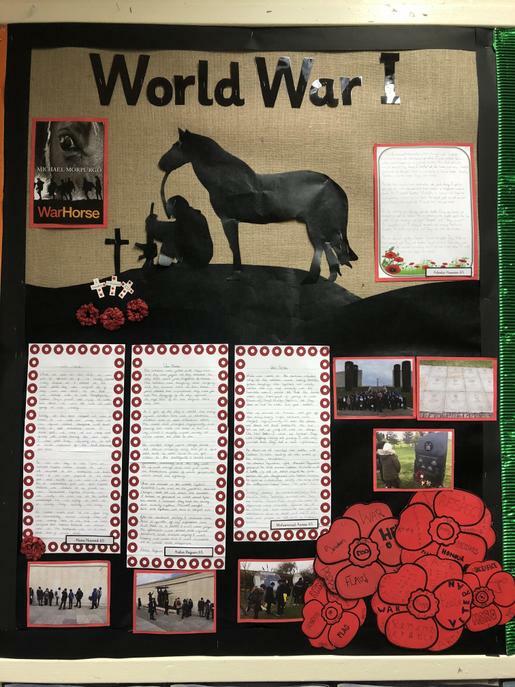 Children then read 'War Horse' by Micheal Morpugo and wrote a story from the viewpoint of a soldier fighting in battle using figurative language and dialogue. 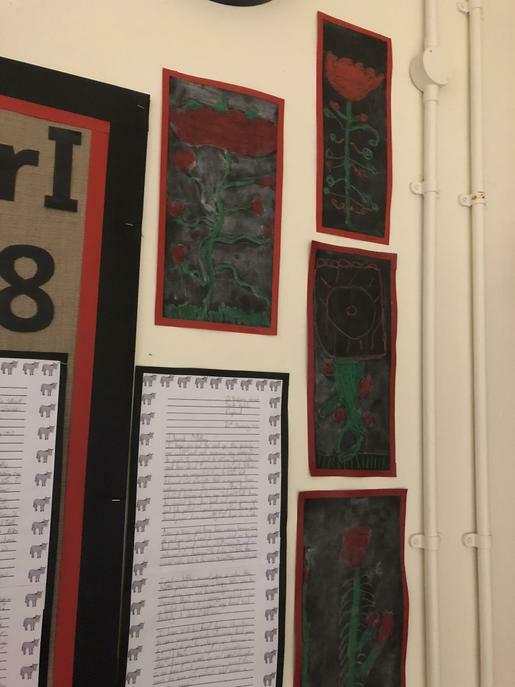 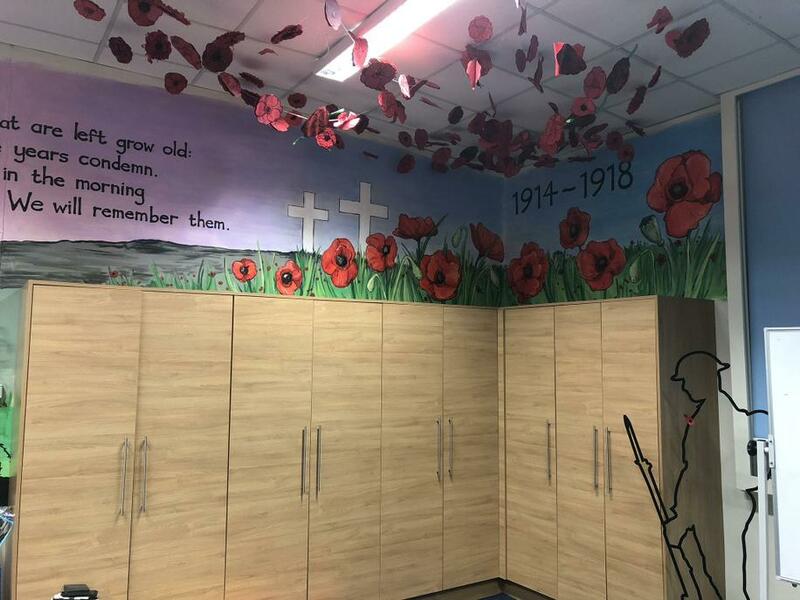 In addition to this, children created poppy word art using key words related to WW1 and silhouette soldier water colour paintings. 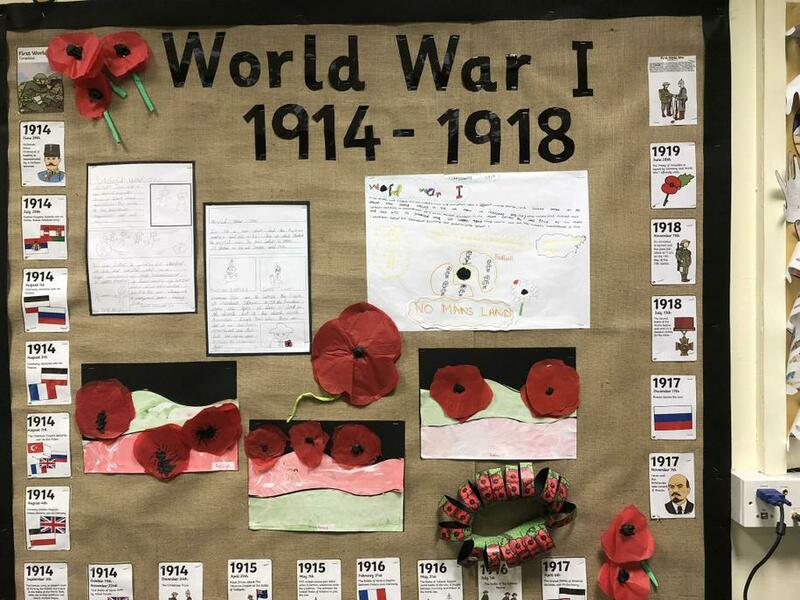 It was a fantastic week in which children were immersed in the history of our country.